relating to neurophysiology, anatomy, pathology and mental health. 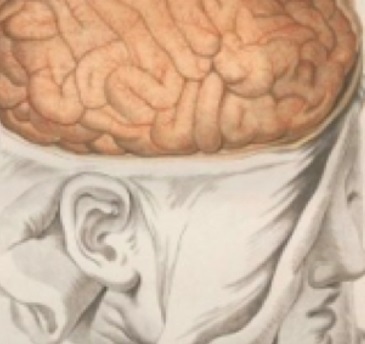 This neuroanatomy and physiology book contains drawings and detailed explanations, with comments on the work of previous prominent anatomists including Vesalius and Eustachius. 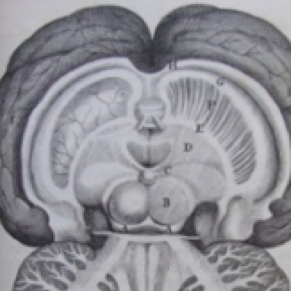 Vicq d’Azyr was the first to describe the mamillothalamic tract and substantia nigra. 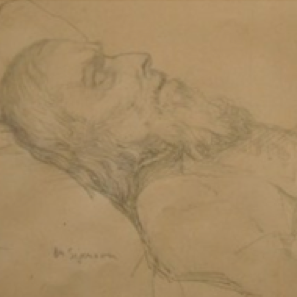 This pencil sketch was drawn by the artist Estella Solomons (1882-1968) on 18 February 1925, the day of Sigerson’s death. Sigerson was an Irish neurologist, who was also involved in political journalism and the Irish literary revival. This 1667 text written by whom many consider “the father of neuroscience” concerns the pathology of the brain. 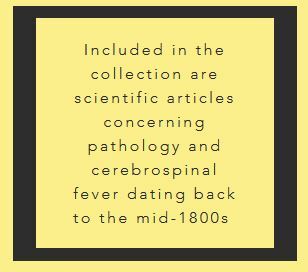 In it Willis developed a new theory of the cause of asthma, epilepsy and other convulsive diseases. 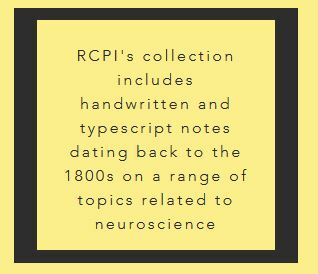 His work also contributed to the development of psychiatry. Photograph of the portrait of Sir Gordon Morgan Holmes, an Irish neurologist that studied alongside Edinger and Weigert and carried out pioneering research into the cerebellum and visual cortex. The portrait was by Harold Knight (1957). 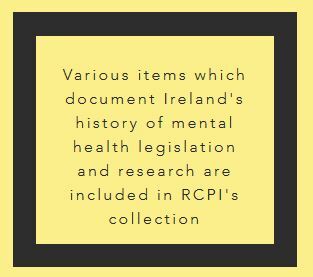 Letters, petitions and committee minutes relating to the Lunacy (Ireland) Bill brought into the House of Commons by Sir Dominic Corrigan in 1871, file also contains two draft petitions relating to the Lunatics Asylum (Ireland) Bill of 1875. 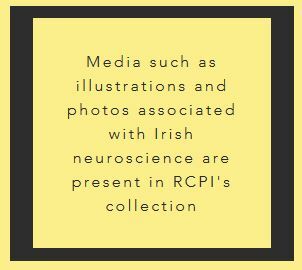 Search the RCPI collection yourself!